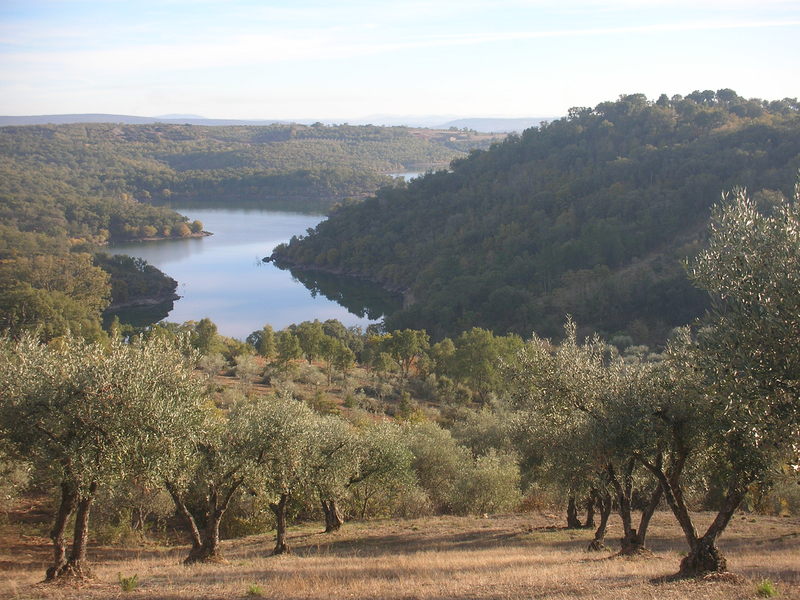 A few months ago, one of our readers shared with me the story of how he had taken over his family’s olive oil operation in Portugal. He was kind enough to provide the following. Please enjoy…and thank you, Miguel. 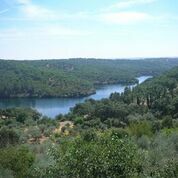 From my earliest summer holidays I remember the scorching heat, green valleys and rugged hills with olive and fruit trees, the typical landscape of Northern Portugal. 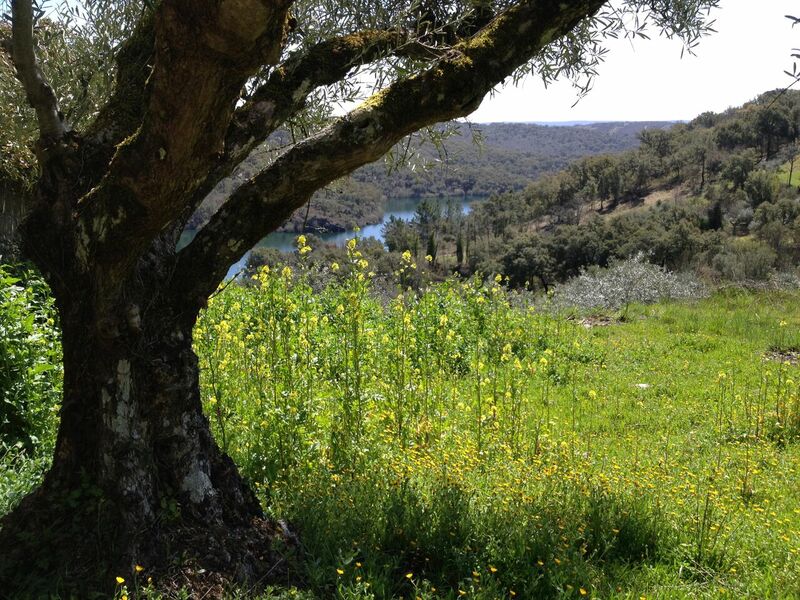 In this region my family has produced olive oil for several generations. My great-grandparents, originally from Porto, moved North in the early 1900s, to start a hotel and restaurant business. In complement, they bought two farms and a country house that, together, made the business and the household almost entirely self-sufficient. Olive orchards took up most of the land. One of the farms had its own traditional stone mill and after extraction, the olive oil was stored in large terracotta jars. It was produced exclusively for the “house” and when sold, only to friends. As needed, olive oil was tapped into 5L demijohns, loaded in the Studebaker, and delivered at the restaurant and at home. After my grandfather took over the business, he replaced most of the vineyards around the country house with new olive orchards. Consumption of olive oil was increasing, both in the restaurant and at home. He also started making “extra virgin” quality only, which was quite uncommon. In fact, so uncommon that it was only sold in pharmacies. Among the family, I remember that olive oil was, and still is, the cornerstone of every meal. It was poured from 5L demijohns into a silver cruet for table use, and was treated as a noble product. There was plenty of it, but it was never wasted. We used it either to cook, or as a condiment,sometimes with sautéed vegetables, sometimes with onion and parsley, sometimes with garlic or malagueta pepper, or just by itself. It was also used for deserts, from fruit salads to cakes. And I even enjoyed it at breakfast, on toast with grated dark chocolate. As my grandfather retired, the business and the farms were sold, but he continued the olive oil production on the orchards surrounding the country house. After he died, things were run jointly in the family for a while, until opinions started to diverge. In that context, I took over. It is hard to fully convey what the olive oil production means to me. Part of the appeal is related to memories and family tradition. Family gatherings always involved a meal, and olive oil always had that special place at the table. I still have a few of the, now centenarian, terracotta jars. There is also the commitment needed for running the production, even if it only implies a few visits a year. My grandfather did this almost religiously until his early 80s. The continuous striving to keep things in the best possible condition is definitely part of the appeal. Finally, there is the aspect of traditional farming (no chemicals, no irrigation, and manual harvest), which I believe is worth preserving. Olive oil from the property has always been a farm-to-table product, and this still makes sense today. Especially now that most olive oil on the market comes from intensive plantations and/or is blended with oils of questionable provenance. Altogether, I feel it is my duty to continue this tradition and to prove that it is still possible to produce small-batch, sustainable extra virgin olive oil. Being more than 1,500 km away from the property doesn’t make it easy. Beautiful story and enviable lifestyle. I relate to working in a family business- I have done for 20 years, but as you say, “opinions are starting to diverge”. Realizing I will always be considered a kid, since I started so early, I am increasingly frustrated at not being taught more as the older generation refuse to make space, or to teach me more. Currently searching for a plan B, although it is hugely disappointing to me to see the 80 year old business fraying. Elle, as I’ve mentioned on these pages previously, and thank you for that freedom Byron, there is no inconsistency between old money values and the entrepreneurial. Just look at this gorgeous story as evidence: starting a hotel, restaurant, acquisition of two farms and a country house, the mill. Fortunes are made, maintained and dissipated. The challenge for old money is, not only maintenance but, renewal! There are many examples of this from Rockefeller to Murdoch to the fictitious Crawleys of Downton Abbey. Maybe your Plan B is like Lachlan Murdoch’s Illyria. Hello Anglosphere, and thank you for your encouragement. I certainly am looking to “exit stage left”, and the younger Murdoch seems to have an admirable spirit. What I have learned in terms of skills and my strengths can definitely be redirected rather than wasted toiling in frustration. Because it is with family, I fear damaging those relationships permanently the longer I am exposed to what I consider an asinine business philosophy of “that’s the way we have always done it”. No one treasures tradition more then I do, but keeping an open mind is critical, and very OM, i believe. Redirecting strengths and keeping an open mind: a wonderful recipe for renewal. Well played Elle. Onwards and upwards. I just love the images and the story behind it. My in laws are from Northern Portugal and gew up on a farm. The main crops they grew were potatoes, but grew plenty of other vegetables and tended the herds. The lifestyle was one of very hard work and self sufficiency. I know they miss the lifestyle but the passage of time erases the possiblility of changing courses. The house on the property was from the seventeenth century and many generations lived on it. I believe fruit from trees and not short lived plants is the better alternative for the distant farmer. A few visits a year and a small supply for family and friends is all you need. Worth the price tag of plane tickets.